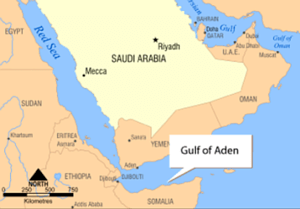 New Delhi (UNI) – The Chinese authorities were urged by an Indian woman today to help secure release of a Hong Kong-registered chemical tanker and its 22 crew members seized by Somali pirates in the Aden Gulf 24 days ago. They said they would see what can be done to expedite matters, Seema Goyal, wife of Stolt Valor’s Captain, Prabhat Goyal, said in a telephone interview while she was on her way to Dehradun to be with her children. Mrs Goyal met China’s Charge d’affaires in New Delhi, Ambassador Zhang Yan being away travelling. The pirates demanded $6 million– subsequently pared down to $2 million– for letting the ship sail. The tanker is carrying phosphoric acid and lubricant oil for end-users, including Kandla-based Indian Farmers Fertiliser Cooperative Limited.’ Besides 18 Indians, the crew includes a Russian, a Bangladeshi and two Filipinos. Nine of 22 hostage crew members on board have taken ill waiting for freedom from Somali captors holding out for the ransom, relatives say. The hostages have been running low on water and food. On Monday, Mrs Goyal met a Japanese Embassy official in New Delhi in an effort to build up pressure on the ship’s Japanese owners to secure a quick end to the crisis. On Tuesday, Mrs Goyal addressed a rally of seafarers unions in Mumbai and was handed a petition for Prime Minister Manmohan Singh, urging steps to ensure hostages’ safe return and preclude such acts.